Please read this FAQ before sending us a message. We accept PayPal and all major cards for the payment in advance, NO CASH ON DELIVERY! What is the standard currency in Thaiwholesaler? Website will show you the estimate days and the shipping fee after you type the shipping address (English only) . International shipping fee is according to the weight and service. You can tick Registered Air Mail / Fast shipping / Express shipping when checkout, finally Thaiwholesaler has the right to choose to send by Post Office / DHL / UPS / Aramex etc. . When will Thaiwholesaler ship out my order? Once payment done, you will promptly receive an order confirmation via e-mail, please remember your order number for follow up. When it has been processed in our database, the package will leave our warehouse within 1–5 business days, or, at the latest, the following working day. After we dispatch the parcel, you will receive another email telling you the tracking number, you can trace it on the official website of Thailand Post / DHL / UPS etc.. Normally you will receive the parcel within 4–30 business days depends on the service you chosen and custom checking etc.. Sometimes it takes up to 4–12 weeks in very rare case. Buyer should always follow up the parcel‘s location by the tracking number in your email, if you see any problem on the tracking status, contact your local courier for the faster process. 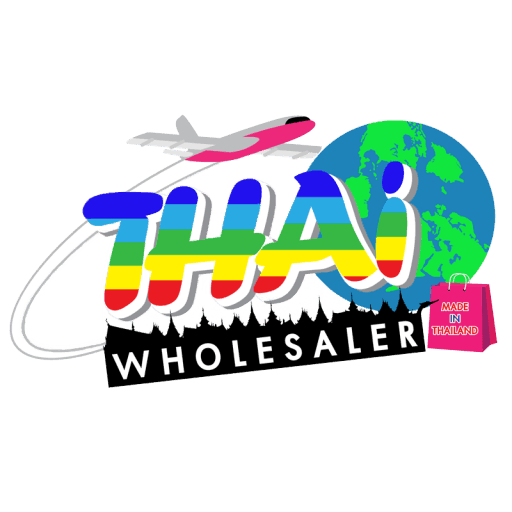 Thaiwholesaler has no responsibility to any delay or lost or customs procedure etc.. In the addition, bulk order will also depend on the factory‘s processing time, so it might be slower than the estimate date, please be patient, we will make it as soon as possible. Do i need import license or any document to receive the parcel? Import restrictions of individual country is applicable for all internet purchase. Buyers are therefore responsible to ensure that the product can be lawfully imported to the destination before placing an order. The recipient shall bear all relevant charges incurred. We take no responsibility for any document needed or destruction or holding items etc. in the process. Since we do not accept returned parcel, in case the parcel treated as abandon, the buyer should afford all the costs. To make sure you can import all the items, please inquire the courier or customs in your country before placing an order. Do I have to pay a customs duty for the goods if I order from Thaiwholesaler? After a shipment reaches your country it might be subject to import duties and taxes. Additional charges for customs clearance must be paid by you; we cannot predict how much they would charge and what they might do. Customs policies vary widely from country to country, contact your local post or the courier for further information before you placing an order. To facilitate the customs process, we reserve the right to inform customs of the value of goods within the packages. For the same reason, customs officials are permitted to open packages. We cannot control all over this procedure. How to track my parcel and What should i do if i did not receive it? 1. Double check to make sure you provided the details are correctly in English, the phone and the address (with Zip Code) can be reached. We do not accept return / refund if you provided incorrect or missing details or not in English. 2. Check your E–mail if there is tracking number we sent to you. –You can type your tracking number on the official website of Thailand Post / DHL / UPS / Aramex etc..
3. Once the status is showing “Departure From Outward”, it means the parcel is out of Thailand and coming to your country. Please be patient! 4. If over the estimate days you still cannot get the parcel, you might need to collect it in the post office/ warehouse around you, so please contact your local post service/ courier in your area and give them tracking number to follow. 5. Any unclaimed or delay or lost parcel etc., buyers should take your own risk. If any returned items to us, we can send you back and all the shipping fee will be buyer’s responsibility. 6. We are willing to show you the receipt on every shipment if you request, it can be the evidence that we shipped on time. What will I do if I want to order in large quantity but the item is not in stock? Please click our contact form to let us know that which product, quantity and your location, we can help you to pre–order. Then we will give you a quote and fill the stock on website as soon as possible. Please allow us one more week to process pre-order items since the stock is not on hand. Yes, After “Checkout“ you will receive an invoice directly to your email. Sorry. There is no refund or cancellation once you paid. If you haven‘t received your parcel, please do the above steps first, since unclaimed parcel is buyer‘s responsibility also. We do not accept returned items, and all the shipping fees are the buyer’s responsibility. If the custom treat your parcel as abandon case, the buyer should afford all the costs which is non-refundable. Thai Wholesaler has no obligation to clear the custom. If you do not success, then simply contact us with your order number either through Facebook Messaging system or use the Contact Form on this website and we will take care of the rest within few business days. Our professional qualified staff will attempt to the resolve the issue in the possible case of a connect or compatibility issue. In brief, we will make your experience as simple and satisfying as possible.